You’re a superstar. You’ve met or exceeded your department’s goals. You’ve won over the trust and support of your team. You’ve even come up with innovative ways of getting things done. All systems go for promotion towards tempting career advancement, right? Well, not quite. There’s still one important thing to deal with: your boss. 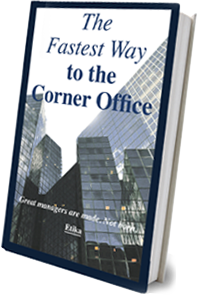 Your boss, no matter how supportive he or she has been, could actually be presenting the most difficult barrier for your to cross on your way to the corner office. Bosses are funny. On one hand, they are there to manage and develop you. On the other hand, they have their own agenda. And your promotion could be a problem for them, unless managed effectively. The first one is competition. Your boss has passed on their hard-earned know-how to you and now you actually might present a threat to them. Industries are full of cases in which middle managers have taken over departments formerly run by their boss. The second reason is that your boss simply doesn’t want to let you go. You’ve been trained to deal with every nut and bolt in your department and now you’re going to leave your boss high and dry...while you pursue your corporate development career path. Third, your boss might honestly think you’re not qualified enough. Though this might just be their opinion, it’s an important one...and one that might very well hold water with key decision makers in your organization. Finally, you might have caught your boss by surprise. Your request for promotion was completely unexpected. It had just never seemed in the cards. Let’s look at this reason a little more deeply. 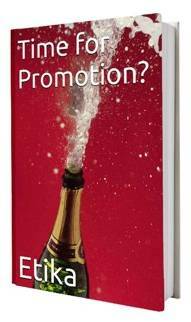 You don’t want to surprise your boss, so let it be known from day one that you intend to be promoted. This doesn’t mean that you should come into your first day at work, declaring that you’d like to be the CEO some day. But it doesn’t mean that a fear of rocking the boat should prevent you from being honest and straightforward about your career aspirations. It’s all a matter of balance and timing. For example, if someone in your organization gets promoted, take the time to congratulate them and to let your boss know that one day you’d like to apply for a more senior position. Hopefully, this would allow you to test the waters with your boss regarding his or her take on the issue. You might hear responses such as, “you have to work hard” or “you have to deserve it”. Don’t take what your boss says too hard or try to prove to them that you are indeed working hard and deserving. At this very early stage, you’ve accomplished enough by just letting your boss know that you’d like to work towards getting a promotion. While it doesn’t seem like much, this kind of declaration is important, as it is the first hint in a series of hints that will prevent your boss from being surprised by your desire to be promoted. And by the way, don’t skip this stage because you’d already mentioned career advancement in your interview. That’s been long forgotten by now. Besides, everyone says this. Once you’ve proven yourself to the company for about two years, then it’s time to have an open discussion with your boss. If you can, try to plan a possible promotion about six months in advance, so as to allow time for your boss to digest your desire and provide you with feedback. Mention a specific position to your boss and ask for advice on how to apply for it. Listen carefully to your boss’s reaction, as you’ll need to plan your next steps according to it. If your boss is for your promotion, you’ll get a great deal of advice on how to go about applying for the position...and you’ll be happily on your way. On the other hand, your boss might answer with a non-committal response, such as “we’ll see” or “we’ve got plenty of time.” While this might leave you disappointed, it’s still very valuable to you in your journey towards promotion. Naturally, this kind of response means that your boss isn’t really for promoting you. However, it’s good that you received a non-committal answer, rather than all kinds silly excuses or empty promises about “next time”. At least you know what their stance is. And you also know that you’ll need to curry support from other decision makers in your company. A while later, another possible promotion opportunity will most likely arise. Notwithstanding your boss’s last lukewarm response, schedule a meeting in order to express your interest in the opportunity and to seek your boss’s support in applying for the promotion. Be sure to mention that time that has passed and how much you’ve learned from your boss’s mentoring, which has led to your improvement. Emphasize that your boss’s opinion is very valuable to you and that any advice that can be provided would be highly appreciated. One word of caution: show confidence in your decision to apply for the promotion. Do not waver or ask your boss if it’s a good idea. This will result in unfruitful dialogue, possibly derailing your intentions for promotion. 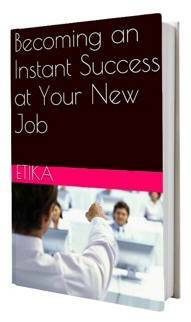 (By the way, if you’re not sure yourself, why not download my ebook, Time for Promotion for FREE (an $8.99 value). After you’ve made this request, sit back and listen very carefully to your boss’s response. You’ll find out your boss’s stance as well as what they’re willing to do, through both formal and informal corporate channels. Of course, the best thing would be for your boss to express complete support and to help you apply for the promotion. But that’s not always going to happen. That doesn’t mean give up; it just means that you’ll be continuing without your boss’s backing. This is the time to tap into the support you’ve been building up with other company decision makers. Sometimes, their vote will be enough for you to get promoted. Other times, they might pressure your boss (directly or indirectly) into having a change of heart. So as we’ve seen, it’s important to let your boss know of your intentions to be promoted from the moment you begin your new job. In most cases, if you’re both on the same page, then you’ll be supported in your quest for promotion. In more difficult circumstances, your intention to be promoted will drive you early on to build up a network of decision makers who will support you on your way to success.